The Virginia towns and counties surrounding DC hum with culture, nature, shopping and history. Virginia dances between a historic past (it’s the birthplace of eight U.S. presidents and is filled with Civil War battlegrounds) and an urbane present. In cities and counties either a few miles or a few hours from DC, you can do everything from hiking past waterfalls at Great Falls Park and shopping at numerous outlet malls and luxe shopping centers to dining on a gourmet meal and sipping vino straight from the source at vineyards like The Winery at Bull Run. Just across the Potomac River from DC, Arlington County holds the Arlington National Cemetery, the final resting place for 400,000 active duty military members as well as President John F. Kennedy. The county also holds the Pentagon and the adjacent Pentagon Memorial, the U.S. Air Force Memorial with three 200-plus foot spires and the U.S. Marine Corps Memorial, also known as the Iwo Jima Memorial. The Marine Corps War Memorial honors Marines who have died in battle with a 32-foot-high bronze sculpture of World War II soldiers erecting a flag. Nearby, Alexandria also overflows with history. Its quaint, riverside Old Town, founded by Scots in 1749, boasts cobblestone streets, colonial buildings and a buzzing dining and shopping scene. A few miles away, visit Mount Vernon, the home of Alexandria’s most famous resident, George Washington. Culture also thrives in Virginia. You can see new plays and musicals in the mod digs at Shirlington’s Signature Theatre, which won a Tony Award for regional performance, or rock out to an outdoor concert at Jiffy Lube Live or Wolf Trap. In Alexandria, the Birchmere has been luring country, folk and bluegrass fans to a down-home indoor space since 1966. Museum buffs can ogle planes, rockets and spacecraft at the National Air and Space Museum’s Steven F. Udvar-Hazy Center or frontier rifles and gangster guns at the National Firearms Museum. The shopping also rocks in Virginia, whether it’s the small boutiques (think shoes, vintage clothes and furniture) of Old Town Alexandria or major malls like Tysons Corner Center. Bargain hunters can find major brands marked way down at the Leesburg Corner Premium Outlets or Potomac Mills Mall. The Old Dominion’s natural beauty is also worth exploring. Close to DC, Great Falls Park stars hiking trails and views of the Potomac River as it crashes through the rugged, rocky Mather Gorge. Further afield, Luray Caverns features underground caves with dramatic formations and Shenandoah National Park offers hiking, camping and nature-watching amid mist-capped mountains. Musicals at the Tony Award-winning Signature Theatre, indie boutiques and antique shops in Old Town Alexandria, wineries in Loudoun County. 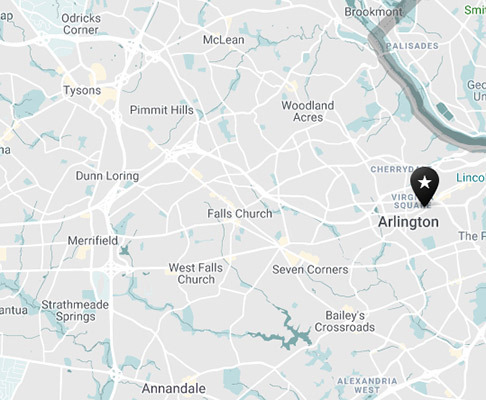 Some of Northern Virginia—Old Town Alexandria, the shopping malls at Tysons, all of Arlington—is accessible via Metro’s Orange, Blue, Yellow and Silver lines. To see sites like Mount Vernon or attractions in outer counties (Fairfax, Loudoun), you’ll need to rent a car or hire a guide. Just across the Potomac River from Washington, DC, the Old Dominion buzzes with culture, nature, shopping and history.